SKU: EIWHG. Category: Hand Embroidered Tribal Tapestry. Tags: India, Kutch, one of a kind, traditional handicraft, vintage, hand embroidered. A richly coloured, intrically embroidered, collage of Meghwar embroidery featuring pieces from vintage cholis (blouses) pieced together with running stitch. 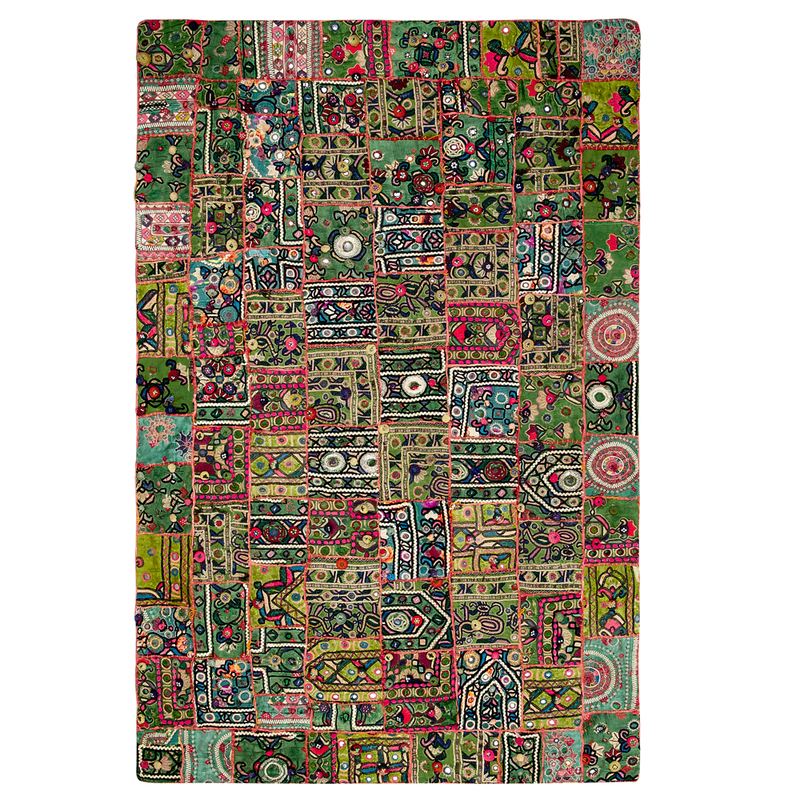 This intricate tapestry features floral motifs and traditional mirrorwork. The more you look the more intricate patterns appear. Rollover the photo to see the embroidery. 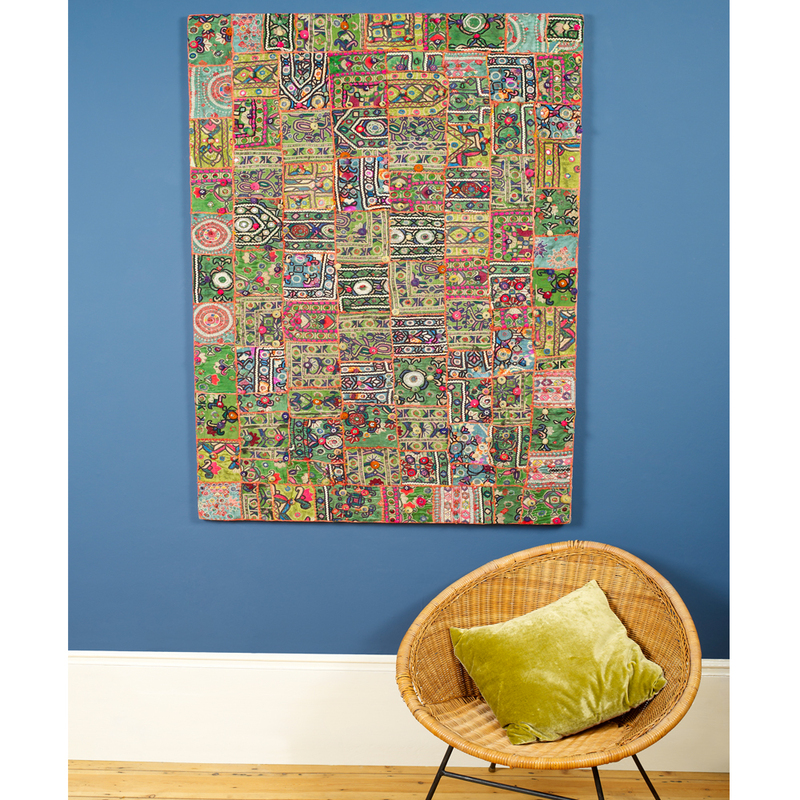 This piece is mounted on wooden board and has a 2.3cm cream calico border. Call us on: 0208 675 4637 or email us: info@maudinteriors.com to discuss delivery options.